Agency’s policy mandates will now include comprehensive responses to greenhouse gas mitigation. STATEWIDE — The merits of whether climate change is manmade – or even exists – continue to be questioned by deniers, leading federal administrators and others. However yet another state agency acknowledged climate change must be addressed. California’s State Water Resources Board (SWRB) approved a resolution in February to better respond to the potential effects of climate change and become more engaged with the public on educational initiatives about adaptation or mitigation. Interestingly enough a group of researchers co-authored a March 13 article on Nature.com stating natural causes actually plays a significant role in the loss of Arctic’s sea-ice. SWRB’S Feb. 22 resolution cited an Intergovernmental Panel on Climate Change (IPCC) in stating increased concentrations of greenhouse gasses is the result of human activity. “Sharp rises in the atmospheric concentration of greenhouse gases over the last century and a half, due to human activity, have led to an increase in global average temperature, and associated climate change,” the SWRB resolution stated. Future impacts of climate change, according to SWRB, include sea level rise, increased frequency of extreme weather events, more (and prolonged) drought periods and saltwater intrusion into groundwater, among others. SWRB officials hope to address the threats of climate change by aiming to reduce greenhouse gas emissions, increase water conservation and efficiency efforts, capture storm water to augment water supplies and ensure flood protection, enhance ecosystem resilience, incentivize shoreline protection initiatives and use the most current scientific data when enacting policies on sea level rise. An IPCC report published in 2014 stated, with “medium confidence,” the 30-year period between 1983 and 2012 was the Northern Hemisphere’s warmest in 1,400 years. “Each of the last three decades has been successively warmer at the Earth’s surface than any preceding decade since 1850. The period from 1983 to 2012 was likely the warmest 30-year period of the last 1400 years in the Northern Hemisphere, where such assessment is possible,” the 2014 IPCC report stated. IPCC’s scientists stated the global surface temperature is likely to increase by as much as 1.5 degrees (Celsius) by 2100. Whether these future projections, which are extrapolated from past data and historical patterns, come true remains to be seen, of course. The scientific team behind the 2014 IPCC report stated much of what is forecast could be prevented if certain measures are put in place now. The full SWRB resolution can be viewed on the agency’s website. 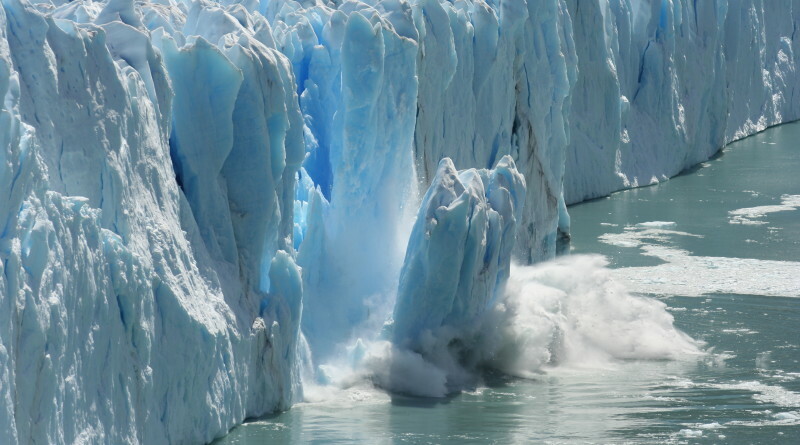 Meanwhile a group of researchers – led by University of California, Santa Barbara scientist Qinghua Ding – stated the relationship between warming temperatures and Arctic sea-ice loss is not yet fully understood. Ding and his colleagues stated natural summertime circulation patterns could be responsible for about half of September Arctic sea-ice loss since 1979. The report basically points out nature plays a significant role in contributing to melting ice conditions in addition to man-made causes to climate change.